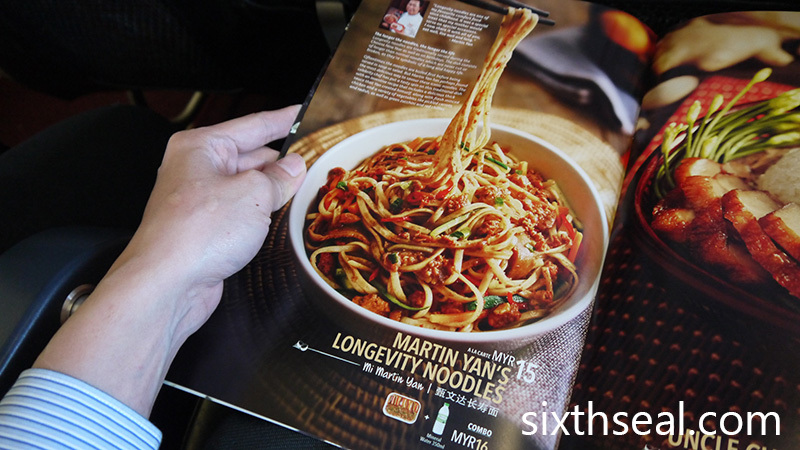 I usually don’t eat unless it’s a long flight but this one caught my attention last time I flew AirAsia (about a month ago). They also had the MasterChef Asia meal then, another limited time promo – it’s a great idea to have collaborations like this, it makes people (at least me) want to try the items. Never really enjoy the food served by AA. It was so so. But this! By Martin Yan. Wow. Am sure it was good. I expected a simple collaboration, more for the name than anything, but the dish took me by surprise. 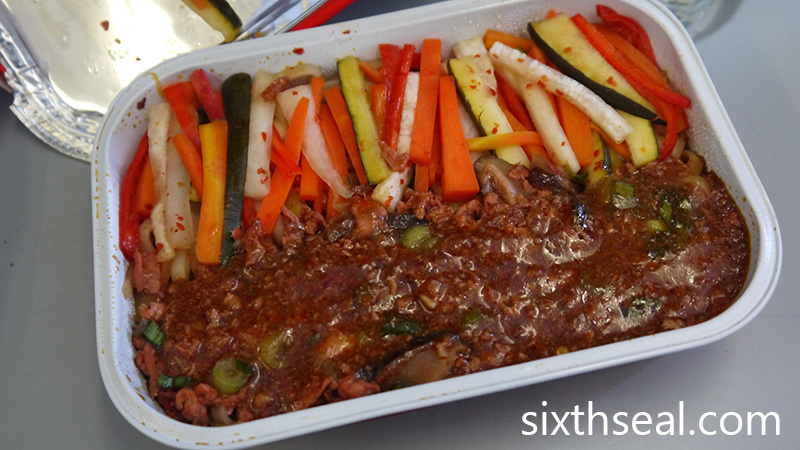 It was really delicious and the fresh crunchy vegetables were a real delight in an airline meal. The texture goes really well with the firm-but-chewy noodles too. 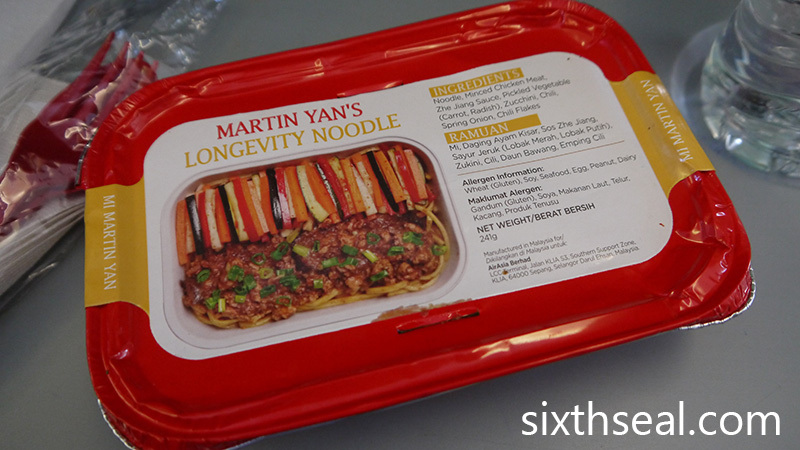 It’s made with a spicy chicken mince meat sauce instead of bean sauce though, and the thick sauce just clings to every strand of noodle – very nice. I love the generous amount of vegetables too, and they made it crunchy despite reheating it in a plane, which is no small feat. 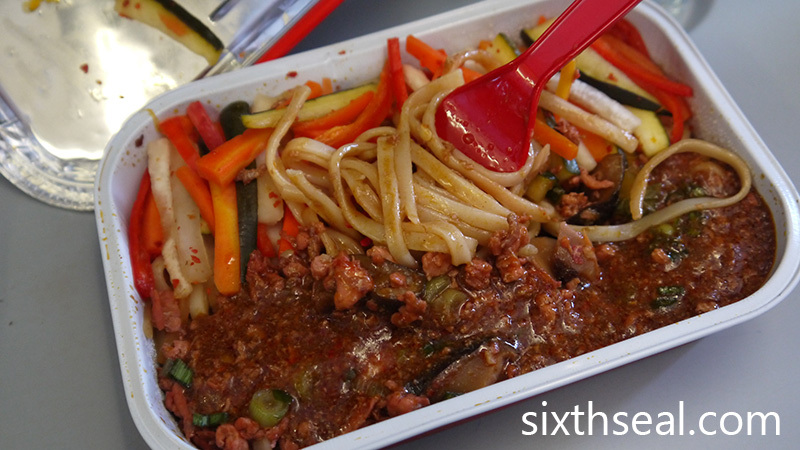 That thick and chunky sauce looks good paired with the thick noodles! 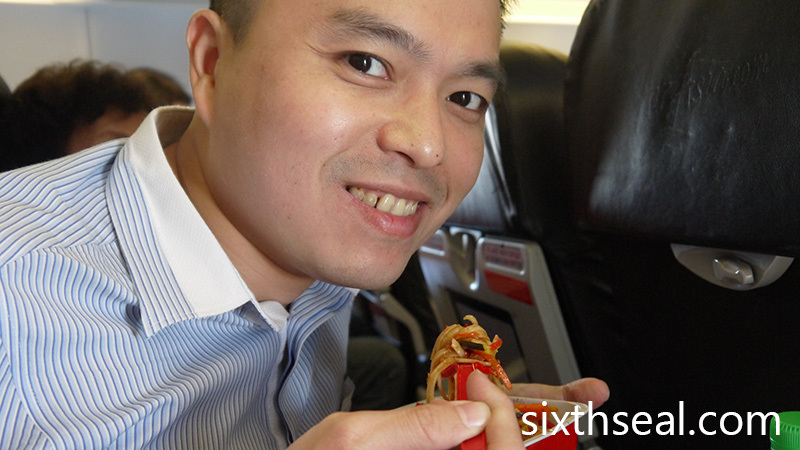 In-flight meals have come such a long way in terms of taste and quality. But yet it still gets a lot of flak and people are always skeptical without even trying it. Haha the lady next to you take good picture! If I am her, I’ll deliberately take a picture of the noodles without your head or just your head without the noodles :P Yes, I am THAT bad! LoL! I don’t usually take meals in AA flight but I think I will have given in on this one too. Looks so good!